That definitely counts as progress. Very nice! I especially like the socks; hmmm, perhaps a Christmas gift for my hubby is in order! 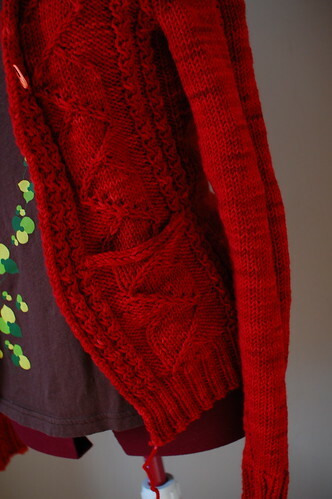 I absolutely love this cardigan–I cannot war to see it modelled! Looks fab and wearable on the dress form. Is this a pattern u are working in for sale? 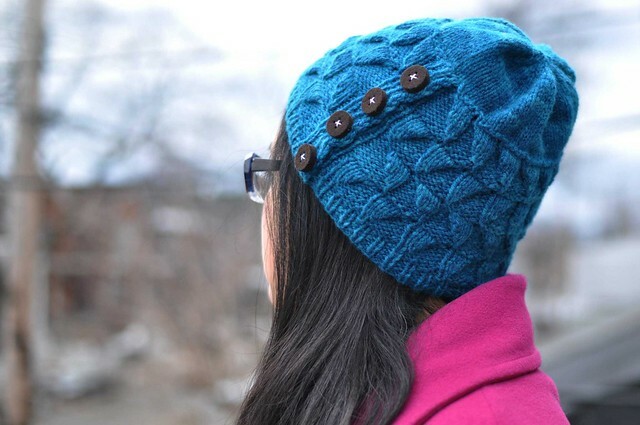 Must check ravelry and answer my own question! I knitted a milkweed shawl last month and I love it. Thanks for the pattern! I love that cardigan. Such a bright and beautiful colour. i love the details on this sweater! will you be posting the pattern?? 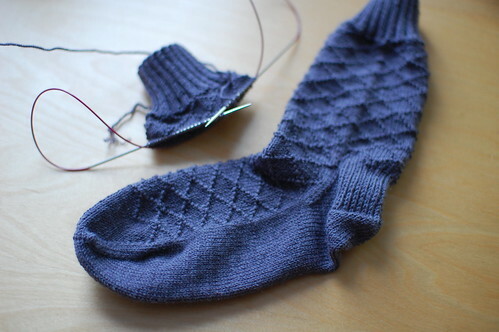 I’ve enjoyed all your knitting projects… the cardigan is wonderful. How fun to be so talented as you! Love that red cardi. Would have been perfect with my outfit today. Need a test knitter? Wonderful sweater, I love the color! I love those colors for both of them. Can’t wait to see the sweater. The sweater looks so nice from what you have shown. What buttons will you be picking to add to it?